You can find all the digits of Pi before you reach your destination. 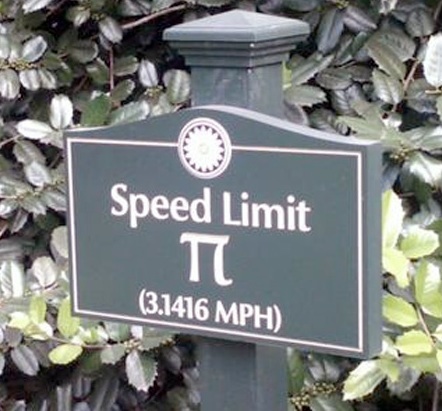 And I thought the sign I took a picture of last winter showing 17MPH was weird. It’s the f**ing imperial system.